This is not a throwing and catching toy for your dog. Catching the toy in its mouth with force could cause injury. 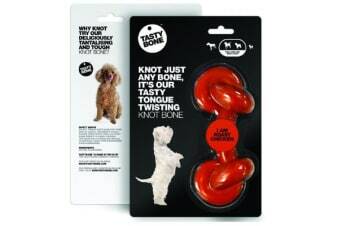 Replace the edible bone when it is small enough for the dog to swallow whole. It is recommended to supervise your pet while chewing any bones of any animal or brand.